Baadshaho is a Hindi film starring Ajay Devgn, Emraan Hashmi and Ileana d’Cruz in lead roles. Baadshaho is a huge ensemble with Sanjay Mishra, Vidyut Jamwal and Esha Gupta. Directed by Milan Luthria, Baadshaho is a story set in deserts of Rajasthan during the time of emergency in 1975. A truck full of gold is being looted from the army as Ajay Devgn ensembles men and women thieves who have their own potentialities in the process of crime. Ileana d’cruz plays a queen of a palace which is being taken away from her by the army as happened during the period of emergency. Ileana hires Ajay to in-turn take the gold from army and distribute it among-st themselves so that she can have most of her gold back intact. 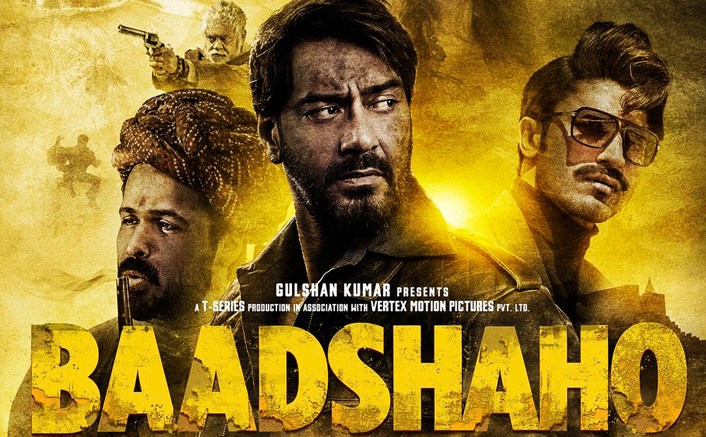 Baadshaho Story and screenplay of the film by Rajat Arora is very thrilling and provides the adrenaline that this kind of film needs. Rajat Arora is famous for writing popular one liners but this time the charm of little less on this extent. His dialogues were the most talked about thing in Once Upon a Time in Mumbai which brought back the old trend of dialoguebaazi in Hindi film industry. Milan Luthria’s direction was marvelous as he exactly knows how to keep a balance between the story and commercial aspects of the film. Milan’s shot taking has a language which speaks of heroism and establishes legends out of the actors. Action of the film is done very carefully and have been made sure that it is not overdosed at all. Each action sequence though stylized still has a cause behind it. Every actor in the film has been given at least 2-3 hero shots with screen space allotted pretty gracefully. Ajay Devgn and Hashmi have delivered a very strong performance in Once Upon a Time in Mumbai and have done brilliant work in this one as well. Vidyut Jamwal had a very powerful screen presence and raised the bar of hand-maid action again. Ileana d’ cruz was very well suited in her character and also in establishing a romantic relationship with Devgn’s character. Sanjay Mishra tickled his main-stream cinema bones again and how. Esha Gupta was clearly the weakest of them all hence she was continuously taken off the screen before she could ruin it.